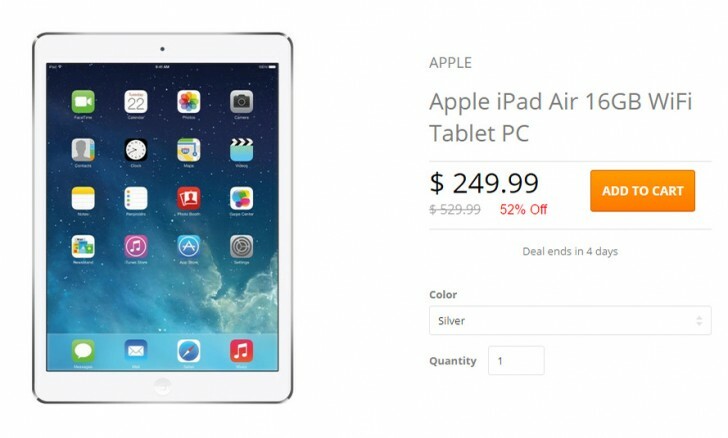 The Apple iPad Air 2 got discounted to $400 - that's $100 off its original price. But if that's still too rich for your blood, the Daily Steals offer of a refurbished iPad Air 16GB (original) for $250 might be something you're interested in. You can knock $10 off the price with the honest coupon code CHEAPSKATE10. If you're nervous about refurbished hardware, you can get one from Apple for $280. Apple's refurb program offers more variety too, the Daily Steals offer is for the 16GB Wi-Fi model only, while Apple's site has everything up to 128GB with AT&T LTE. Refurbished iPad Air 2 start at $340. Let me know when you can run redshift or edit the hosts file on an iOS device.